Summer is here and you may enter the office to find some unfamiliar faces. Wait, who’s that talking to Tyson while gazing at his computer screen and who’s following Courtney to the lab? Perhaps you’ve volunteered to mentor a student interested in your field and now you’re not sure how to proceed. What you do next could have a huge impact on someone’s professional development and their career path. AgBiome is pleased to announce the start of summer with an introduction of our 2017 interns. We are excited to welcome Lauren Harrison, Sam Kaiser, Tessa Lacara, and Ryan Randall to the team! We asked them about their career aspirations, what they want to get out of their summer experience, and what tips they have for mentors. Why AgBiome? It has an entry level industry experience focused on learning new skills in a desirable company culture. Hope to gain? Lab experience, hands-on practice executing theory learned in the classroom, managing her own project, scientific troubleshooting, and time management for planning experiments. Future plans? Would like to get into genetic engineering within the industry and possibly be a high school biology teacher. Why AgBiome? Applied for the internship after visiting on a tour some months before because AgBiome is an exciting place to work. Wants to learn how industry differs from academia. Hope to gain? Better understanding of relationships between people, collaborators, and company partners. Future plans? 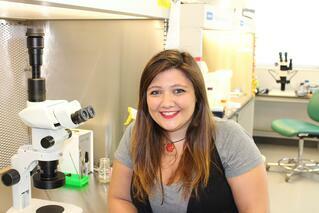 Work in industry after graduation and might pursue a Ph.D. in the field of entomology. Fun fact: Serial artist that enjoys photography, throwing clay, painting, dancing, and more. Why AgBiome? 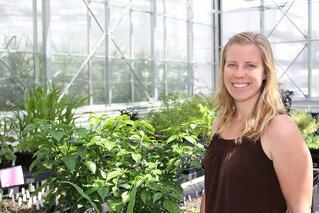 To gain industry experience and because of a love of plants and biotechnology. Hope to gain? 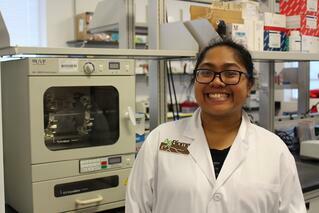 Technical lab experience, an understanding of how companies work, and a taste of business as a company employee. Future plans? 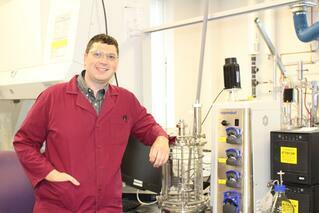 Find a job working in industry in research and development and possibly pursue a graduate degree in microbiology. Fun fact: Superhero movie buff, and experimental baker. Why AgBiome? The company’s genomic approach is unique in the industry and is focused on developing biological products. To learn unique ways to solve agricultural problems. Hope to gain? Experience in the industry and an understanding of how things work. 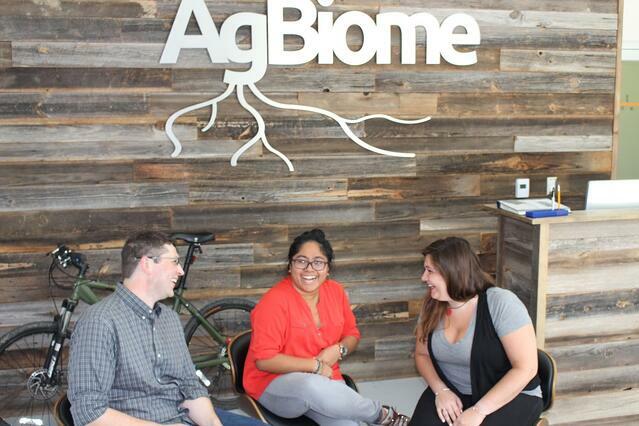 Learn how AgBiome’s culture favors innovation. Future plans? Pursuing an MBA from NCSU. Even if you are not taking on the task of mentoring a student this summer, seek out some of your company interns to welcome them and offer your assistance. If you are interested in applying for future opportunities, check out our HR page.